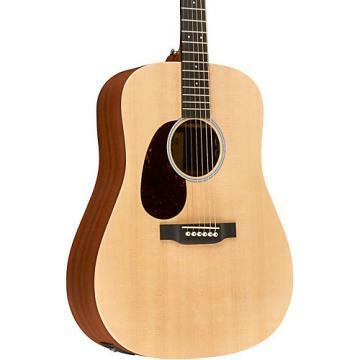 This Martin Custom D Classic Acoustic Guitar is the real deal and a real steal. 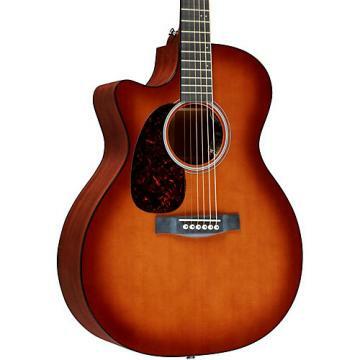 Crafted with a solid Sitka spruce top and solid mahogany back and sides, the mahogany Custom D guitar also has a tortoise binding, modified low-oval mahogany neck with a mortise-and-tenon joint and adjustable truss rod. Solid Indian rosewood fingerboard and bridge, and inlaid single-ring rosette complete this Martin guitar. The mahogany body on the Custom D guitar is much lighter in weight than rosewood, koa, or maple and yields a surprisingly strong, loud sound with an emphasis on clear, bright, airy trebles. Quantities of this custom Martin acoustic guitar are limited. Make your move now and discover the affordable Martin that everyone's raving about. Order today. What's the Catch? I called Custom Guitars Friend prior to ordering to make sure these guitars weren't 2nds, blems, or return items. The gentleman said no, these are brand new in the box. I had a D-15 M that I traded along with some other instruments about 7 years ago for a drum kit, and have not gotten over how much I miss that guitar. I have a family so I haven't spent a dime on myself for quite some time, so I decided to take advantage of the favorable financing available. I don't have nine hundy laying around, but I do have fifty bones a month to spare. This guitar arrived in a new box that didn't have several other labels with crossed addresses so that was positive sign number one. The hardshell case was immaculate and certainly lives up to the Martin tag on the side. No dings or blems on it anywhere. Guitar fits snugly with no slop or movement. Now for the good stuff. When you open the case the aroma of the Mahogany is almost intoxicating, much like the sound of slot machines when you walk into a casino, same effect. I inspected the guitar very closely, and it is perfect in every way. Martin hit a home run with this one. Brand new, not a noticeable fingerprint on it anywhere. Setup was perfect right out of the box, arrived in tune, very easy to play, and the Martin sound is fantastic. I don't know how they do it but Martin guitars have a definite "soul" waiting to be released every time you pluck it or strum it. Its wonderful that in order to make this product affordable, Martin focused less on appointments without compromising tonal quality in the least. I totally agree with others who have commented about the relative light weight of the instrument and the impressive volume you can produce with it. I could go on forever but I'll finish by saying this thing is a natural born killer. By the way there is no catch. I'm so happy I pulled the trigger and did it. .I have been a pro musician since a young man and never written a review but this thing is incredible ! If something happens to this I would definitely want the exact same model. I don't see how more expensive martins could be much better you can't get higher than the best which this is in my opinion! .If you're looking for an all wood, American made Martin acoustic guitar at this price point, this is without a doubt the way to go. After playing it for a couple of weeks now, I would buy it again in a heart beat. I love the satin finish of this all wood beauty. You can smell the wood as soon as you open the case. The tuning machine have the Martin logo which tells me they were serious about making a quality guitar. This was somewhat of a surprise since there were no pictures of the back side of the head stock. The rosette could be a bit nicer but you won't get that at this price point. It is however inlaid and not a decal. This is my only knock but it's a very very minor one. It would not stop me from buying this guitar. Top notch in my book. Very comfortable to play as the action seemed perfect for me right out of the case. The Sitka spruce top and Mahogany sides and back are very nice. The Tortoise binding is a nice touch also. I looked at (and played) a lot of guitars in this price range (up to $1500) and after reading the reviews I decided to take a chance. Honestly, I could not be happier with my choice. I could have spent more if I wanted to but for the money I spent I feel I got a truly great guitar. .Purchased for my husband (third guitar) and he couldn't be happier. Just perfect! Quality instrument. He loves to play it...and even sounds more experienced than he actually is. Everything I was hoping for!!! Perfection. Won't be disappointed with this purchase. A forever guitar! .This is the least expensive all-solid-wood, made-in-Pennsylvania Martin guitar out there right now. It already sounds VERY nice and, with proper care, will improve over the years. If you want a top-notch acoustic, for under a grand, this one is worth consideration. It's as good as any and better than most. (Think Neil Young's "Harvest" album.) I've played for over 40 years and IMHO, you get a LOT of guitar for the money with this purchase, clean, balanced, quality sound that will work for any music form. .I bought my Martin in 2004. I had always wanted one and for the price that I paid through Custom Guitars Friend, I was more than satisfied. 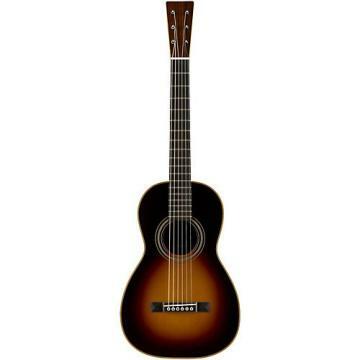 It has a rich full sound and is made with typical Martin workmanship. It is a beautiful instrument! There is nothing cheap about this guitar even the case is first class and it came with a lifetime warranty. What more could a recreational player like me ask for? 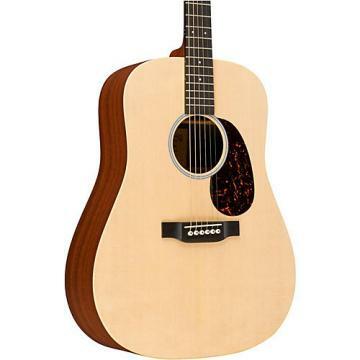 .When I began looking for a higher quality acoustic to replace my less expensive guitars, I scoured all of the usual suspects websites, and spent months playing different guitars from Taylor, Martin, Gibson, and others, at local guitar shops. I had not tried this particular model, but I was a fan of it's simple design and satin finished neck. I ordered the guitar, and it arrived well packaged two days later. When I opened the well constructed case that comes with this guitar, I was immediately struck by the smell of the mahogany that other reviewers had spoken about. 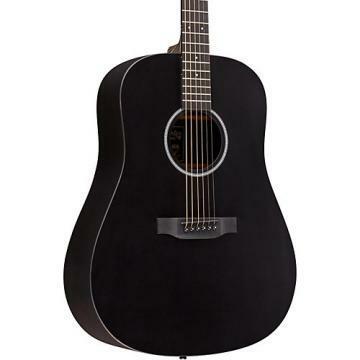 I found the guitar to be very light, but solidly built, with excellent quality throughout. The tuners have a smooth, solid feel, and the guitar stays in tune much better than my less expensive guitars. This may be a no-frills guitar, but the sound it produces is stunning. The warmth of the mahogany with the crisp projection of the spruce complement each other well, (each note rings out clearly and evenly). Everyone that hears this guitar loves it's voice. The asking price for this solid wood guitar is reasonable, and makes it a good value. I think there are a lot of great guitars out there, but if you really want an American made solid wood guitar, and you don't want to spend two grand or more, there really is no need to. This is your guitar. .This guitar is beautiful in it's simplicity. It sounds great, smells great, feels great and looks great as well. It was in tune when it arrived. I've had it about a month now and have played it two to three times a week, and it's still in tune. Its tone is rich and full from the lowest to the highest notes. The strings it comes with are very good. The fingerboard and frets are flawless and very easy on the fingers. I like everything about it. P.S. The case is also very high quality, one of the best I've seen. .I bought this guitar from MF about 9 years ago to replace the inexpensive guitar I'd been performing with. I looked through the catalogues regularly until it was on a special - then ordered. Installed a second strap button, a sound-hole pickup (Duncan Maverick), and some white-out, enlarging side dots to aid reference points in low light. I still play it many times each week. It is still easy to play and sounds great. It has held up extremely well through heavy use. With a new set of strings in the morning and playing a 50 song gig at night, it performed magnificently, week after week. I used Martin CL strings for years but had trouble with the G string breaking at the bridge (only once during a show). Sanding the bridge did not alleviate the problem. Out of desperation, I tried GHS extra lights and that solved the problem. Although this guitar now costs more than when I bought mine, it is still a great value. Anyone who wants a quality guitar that will last for years should consider this one. .Great guitar for the price. Couldn't be more pleased.